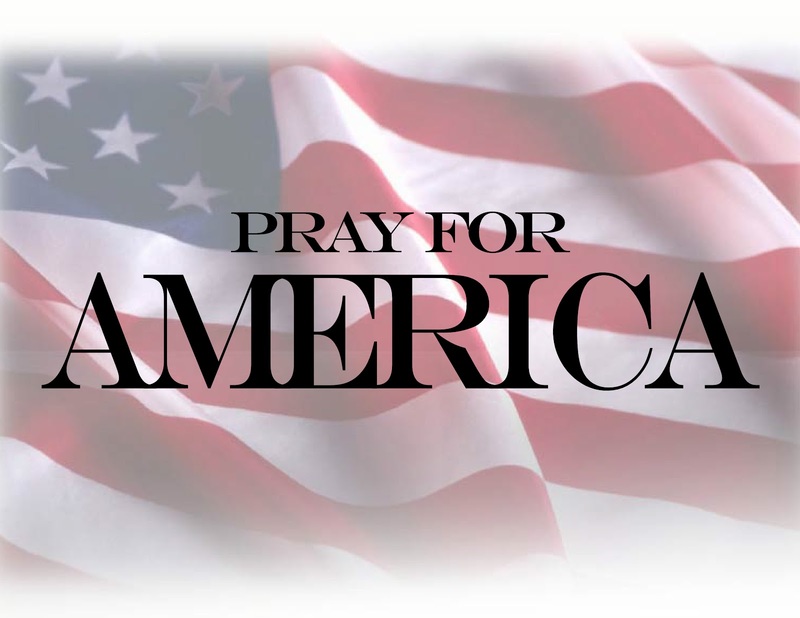 Actions to stop terrorists who’d utterly annihilate America and delight in massacring our innocent children? Darn right I’d do whatever it takes to foil their murderous jihadist plots – including waterboarding. Whatever one thinks of my one-liner at the NRA rally about treating evil terrorists the way they deserve to be treated to prevent the death of innocent people, it’s utterly absurd for MSNBC to suggest that I could put our beloved troops in harm’s way, but we’ve come to expect the absurd from that failing network. If you want to talk about what really harms our troops, let’s talk about politicians who gut our military’s budgets, or a president whose skewed budgetary priorities slash military benefits, or an administration that puts our vets on endless waiting lists for care that comes too late to help those who’ve paid the price for our freedom, or those who break bread with those who think it makes no difference how our military heroes died in Benghazi or anywhere else trying to protect America. Those actions are a heck of a lot more harmful than declaring an appropriate message our enemies should receive. If some overly sensitive wusses took offense, remember the First Amendment doesn’t give you a right not to be offended. Perhaps hypocritical folks who only want Freedom of Speech to apply to those who agree with their liberal agenda might want to consider that the evil terrorists who were the brunt of my one-liner would be the first to strip away ALL our rights if given the chance. That’s why we do whatever we can to prevent them from killing innocent people. And for that, we should NEVER apologize. Good Lord, critics… buck up or stay in the truck. 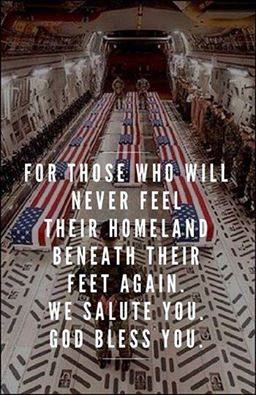 And if you love freedom, thank our troops! Thank our vets! And thank those who have the brains to support them and the guts to defend what they have earned! Governor Palin received an enthusiastic welcome from the attendees of the NRA’s Leadership Forum. The event took place earlier this afternoon in Houston, Texas and featured such notable speakers as Senator Ted Cruz, Governor Bobby Jindal, Governor Rick Perry and Judge Jeanine Pirro. You can listen to Palin’s entire speech here. It didn’t take long for the tolerant left to immediately start calling for “a mass shooting” at the event or a drone strike. Twitchy captured the threatening tweets here and here. Getty has uploaded a number of images from today’s NRA event here. Additional stories on Palin’s speech here and here. According to the NRA website, there will be live-streaming of NRA 2013 Annual Meeting which is taking place this weekend in Houston, Texas. 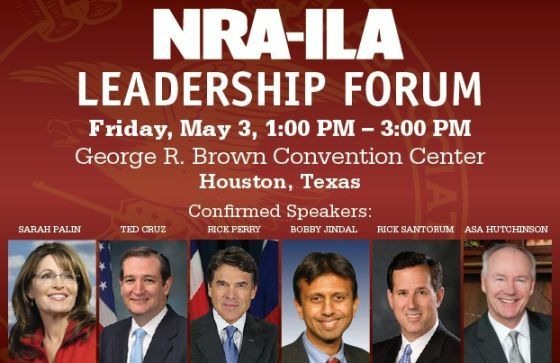 On Friday, May 3rd from 1:00 p.m. to 4:00 p.m. (CT) the NRA-ILA Forum featuring speakers such as Sarah Palin, Ted Cruz, Bobby Jindal and Rick Perry will be live-streamed at NRA.Org & NRANews.com. The complete streaming schedule is here in the site’s left-hand column. This is your chance to join Wayne LaPierre and NRA-ILA Executive Director Chris Cox, along with our nation’s top Second Amendment leaders in government, the media, and the entertainment industry…as we build our battle plan for defeating Obama’s sweeping assault on our gun rights. Your attendance at this year’s Forum is vitally important to the immediate future of our Second Amendment rights. Seating is very limited for this event, so please order your tickets today!